December 1942. 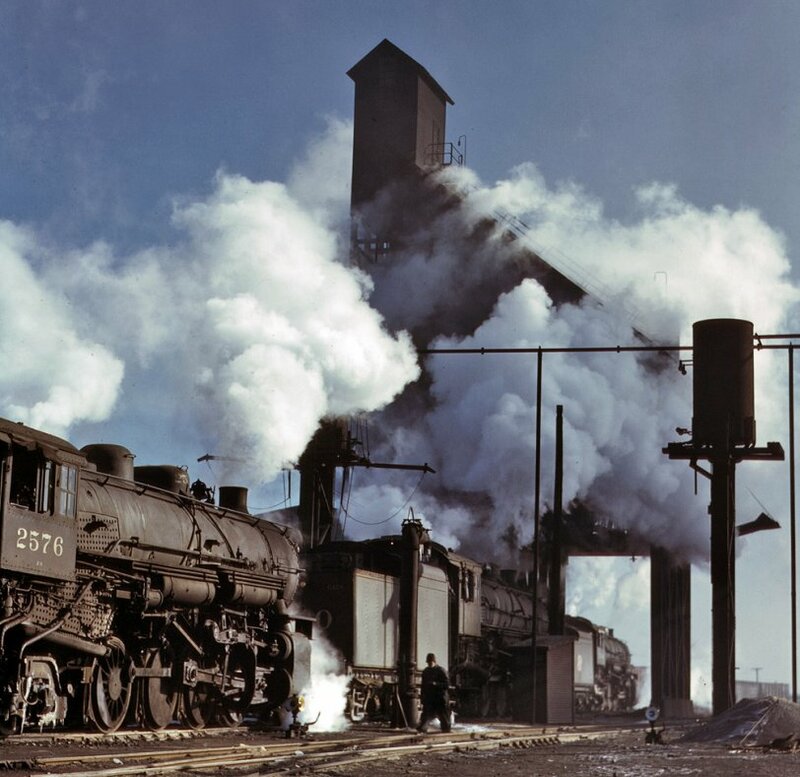 Locomotives over the ash pit at the roundhouse and coaling station of the Chicago & North Western Railroad yards. View full size. 4x5 Kodachrome transparency by Jack Delano, Office of War Information. Submitted by andyb on Fri, 10/05/2007 - 4:18pm.